In recent years, many political leaders have become concerned by the levels of economic inequality in the world, much of which is caused by the number of people who have little or no access to the basics – education, health care, power and financial services. The problem of financial inclusion is most pronounced in low and middle-income emerging markets and has a huge impact on an individual’s ability to start a business, pay for education and engage in other opportunities to further their economic prospects. Africa has big issues with financial inclusion. Nigeria has one of the largest unbanked populations; of its 197 million population, only 30 million have access to banking services, as of 2017. 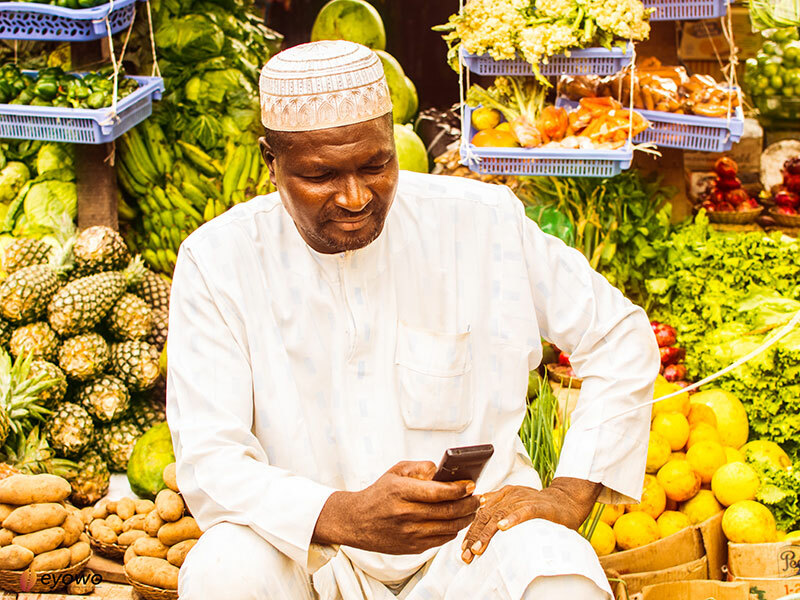 Policymakers are trying to remedy this through the country’s Financial Inclusion Strategy, but many see technological development as the best long-term solution. Numerous fintech organisations have opened in the country to provide citizens with easily accessible banking products. The Circle Group, for example, has produced Imaginarium, a group-based app to encourage friends and family to make joint savings and investments. One Nigerian organisation that has made huge strides in enhancing financial inclusion is Softcom, a technology company. It has done much to support Nigeria’s unbanked population through its new mobile application, Eyowo. This product allows people to make transactions using only their mobile phone so a user can send money to anyone who has a phone number with or without a bank account and internet connectivity. What separates Eyowo from other products is its convenience and accessibility – as long as you have a GSM phone line, you can use Eyowo’s features. Currently, if someone in Nigeria wants to pay for a service or product, they can do so through one of the following channels: online transactions, point of sale (cards) and cash, all of which pose various challenges to its users with risk associated to cash theft and the struggling digital infrastructure to support electronic payments. Eyowo takes away these risks, as money can be sent or received using just a mobile number and can be accessed offline. 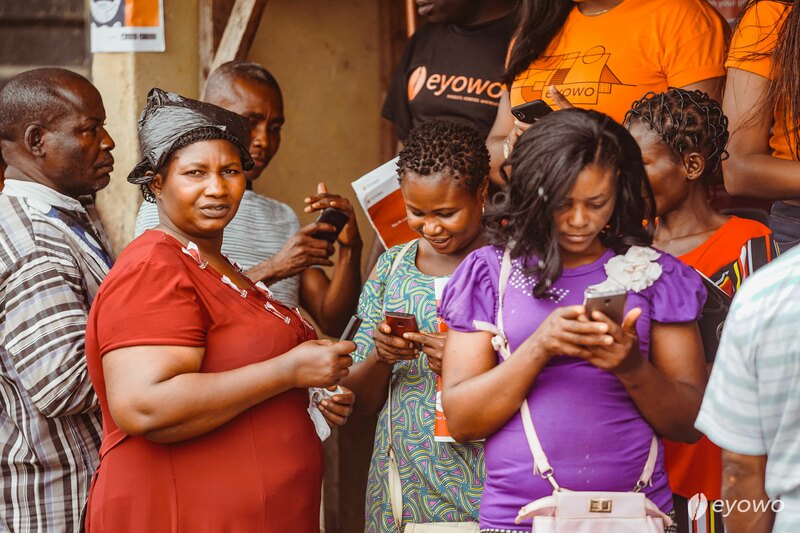 Given that internet connectivity has a low penetration rate of just 50 percent, Eyowo’s creators see its offline potential as a great way to move towards financial inclusion. Eyowo can be used on a wide variety of devices, meaning users do not need smartphones to access its services. The app, which was launched in July 2018, is safe and easy to use. It offers biometric face ID and fingerprint verification for those with smartphones. Users can access the app online using their PIN, meaning they can still use the service if they don’t have their phone to hand. Users can also send money to a bank from a phone and perform card-less withdrawals at an ATM. In addition to its main functions, Eyowo also works as a kiosk system, meaning agents can make money from providing financial services through the app. Once designated as a kiosk, a user can earn commission when they perform financial transactions on another person’s behalf, such as cash withdrawal, funds transfer, bills payment and airtime recharge. Eyowo’s inventors hope this will improve the fortunes of people living in Nigeria and contribute to the country’s sustainable development goals. The company has plans to bring Eyowo to more destinations in the future. Since launching in 2007, Softcom has worked within the education, energy, financial and telecommunications sectors as a technology partner to the leading organizations in the sector. Softcom’s goal is to connect people and businesses with meaningful innovation, Eyowo is another step forward in connecting over 70 million unbanked Nigerians with mobile phones to financial services that will improve their lives.